One of the more curious titles to be hitting the Nintendo Switch this winter is Fitness Boxing, a Nintendo-published title that popped up out of the blue earlier this year. Now, though, a demo has appeared on the European eShop, giving players a chance to see what the fuss is all about before going ahead and making a purchase. 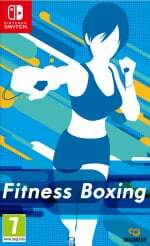 If you've missed the news with this one, Fitness Boxing has players taking part in boxing-based workouts, all while bopping along to instrumental versions of popular music hits. 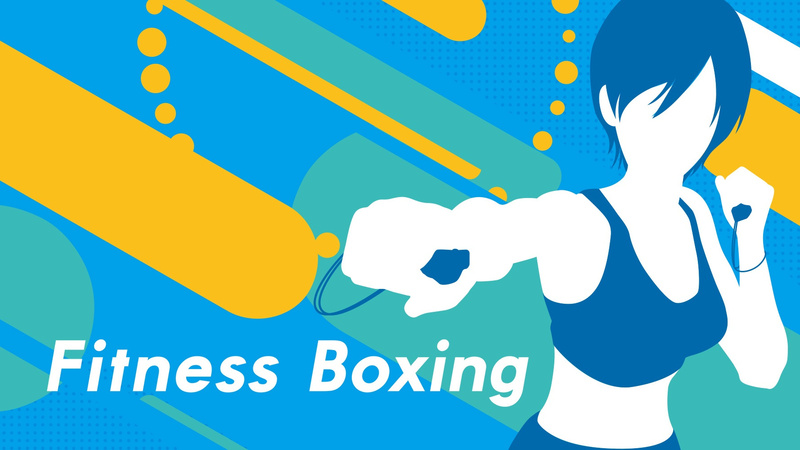 Holding one Joy-Con in each hand, you'll be punching, weaving, and squatting your way to calorie-burning victory, making use of the console's motion control functionalities. The full tracklisting and a gameplay video were shared recently, so make sure to check those out if you'd like to know a little more; it's an odd little selection of songs in some ways, but we're pleased to see a nice range of tracks on offer. At present, the demo is live in Europe but not North America (you can always create a second European account and download the demo anyway, however). Further eShop details show that the game cannot be played in handheld mode - likely thanks to the motion control aspect - and that it will only take up 999MB of space on your system. The full game launches on 21st December in Europe for £39.99, and 4th January for $49.99 in North America. Will you be giving the demo a try? Let us know how you get on in the comments. Does the warranty covers Joycons damaged by sweat? £40? This is Sushi Striker type pricing. I was wondering about how much value this game would provide. ... I'm inclined to forget this exists until it's sub £20. ARMS can provide enough of the experience for me, the way I play it. I cannot see how this game provides more value than Wii Fit U. But I'll give the demo a go, obvs. @gcunit Can't disagree there. I think Nintendo is way over pricing these types of games as of late 1-2 Switch was not worth $50. This remains to be seen but I doubt it will be worth $50 as well. Even the software for Labo feels like bite size games. People argued we weren't just paying for the cardboard but the games themselves weren't worth $50 or so either. They could've easily sold Labo at $40 and still made a good profit. Seems expensive for what it is, but I guess licensing pop music costs a decent amount of money. The best first party title since Flip Wars. I've played ARMS while wearing wrist weights and gotten a nice little workout in a one hour play session. I'll probably stick with that. The most important question is: is or isn't Eye of the Tiger there on the tracklist?? @roboshort That's only because people wanted a second game at launch. If they tried to release that game now it wouldn't crack 500k. Plus they would sell it much cheaper and possible packed with a joycon for $60. Timing it everything in this industry. With thousands of Wii Fit balance boards relegated to basements or foot stool use at home desks (it's really the perfect height) Nintendo clings to the idea that we're desperate for exercise. Best to debut these for the bargain basement price they'll be in six months and at least give those who want to work out this way a savings. A great exercise to do with just about any Nintendo home console but the Wii is to walk in place while playing. Or jog. Or just stand for circulation. Game just seems so limited. Any multiplayer? Anything but basic rhythm boxing to music? So there's a bit more to it, and some sort of two player, but still seems very limited for £40. Just cashing in on the post-Christmas fatties. So many unanswered questions. How’s the story mode? Who are the DLC fighters? Can I fight Bald Bull to “Call me maybe”? Let’s hope for a direct real soon. Hoping there is a Japanese demo soon. That tracklist is horribly out of date. Wasn't this a port of a Wii game or have I been mistaken? I'd prefer a new Wii Fit... But this looks interesting too. Hard flipping pass after seeing the track list. I MIGHT grab it if it's 50% or more off. @MysticGengar last I checked it's a nintendo game. They dont lower prices very often. Of course they aren't. So, I'm not going to get the game. That is, unless they add a few personal favorite tracks of mine. @sleepinglion "the idea"? Wii Fit sold pretty, pretty good - if I'm remembering correctly. Mindless 'waggle' entertainment/exercise? No thanks. I prefer my mindless button-mashing sans as little exercise as is possible. I'm sure the demo for NA will be there soon enough, so I'll test it then. This may not be the Wii Fit replacement I'm waiting for, but Nintendo publishing it has to count for something at least. If it is similar to Gold's Gym Cardio Workout, it might be fun. It's a bit surreal, but not unattractive. Make another European account. No thanks. I tried it with the Japanese and the news feed still remains there now. The track list is old, but pop music has been pretty unremarkable imo since about 2011 anyway, so I'm glad to see these songs on the list rather than new stuff that's not as interesting. @construx No "Eye of the Tiger", so I am going to pass. A real shame. It's actually quite a good giggle - but maybe not £40s worth, unless you genuinely are going to do a 30 minute work-out every day. The music is instrumental, fairly in the background and you have the trainer shouting over it all the time anyway - which may get very repetitive. OK, it's not the same as going to a proper fight class, but to be honest I used to get a bit bored of being punched in the face during sparring. Games don't hit back. @slider271 unfortunately that reddit advice is wrong. If you're subscribed to anything, you'll get both the English and Japanese versions of it. And the Nintendo News channel is 80% Japanese. I was looking to try this out since I used to box and haven't kept up my training the past few years, but who wants to train to Baby or Girlfriend? It needs some thumping base or it's just not shuai. My wife has just looked up, took one look at the trainer and said "where have all her clothes gone?" "Um, I unlocked a new outfit, I just wanted to see what the shorty short shorts and crop top looked like, in the interests of fully researching the game." Anyway... I haven't really noticed the music, the trainer talks almost constantly and I've been concentrating on the combos. It's more like lift Muzak. $50? Sometimes Nintendo loves to scam people. Ouch, high price for something that seems like ARMS, Wii Fit, and Rhythm Heaven combined. The thing is that these games are very unalike and are better separately. I was looking forward to this one, let's see how the demo is. @Retupmocnin I played the demo and the joy-cons were wet! I just tried the demo out, it's actually a lot of fun and has its hooks in me, leaving me wanting more, in a good way. Not too sure about the £40 pricing though, that's a little steep. Maybe after the Christmas rush is over and I have a better handle on my finances. I just tried the demo and this really reminds me of a game called Gold's Gym Cardio Workout from the Wii. But I agree with the comment above, $50 seems a little steep.